It sounds like a classic setup for a joke, but it's one in which the punchline takes a while to drop. Nigh on a decade, in fact. The three men in question worked together in a winery for close to ten years. And, in the end, it's less the start of a joke, more the beginning of a dream. The winery in question is d’Arenberg, where the owners of McLaren Vale’s newest venue worked, often discussing opening their own venture as they crushed the grapes, cleaned equipment and scooted around the winery. 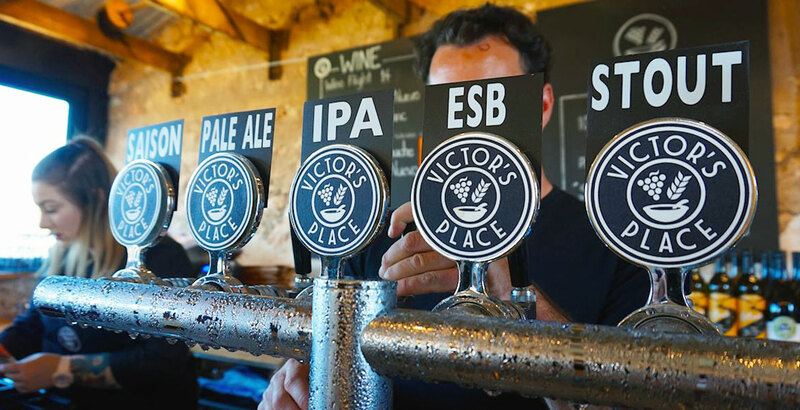 And now Joey Taylor (the chef), Luke Muir (the brewer) and Alan Varney (the winemaker), have combined their talents to make Victor’s Place what it is: brewery, winery and kitchen. Joey used to quit his chef job every year around vintage and help Alan and Luke out wheeling the old basket press around the cellars. “He would call it his holiday from the kitchen,” Alan says. “We have always known we've wanted to go off and do our own thing; we wanted to make our own wine and beer but we couldn’t work out a model that was feasible and viable. Luke was keen to get brewing on a commercial scale and Joey has worked at some of the finer restaurants around Adelaide for years now. Soaking up the views and the beers at Victor's Place. The old barn that plays home to the restaurant and bar area was an old shearing shed built in the 1870s as part of a farming estate. A "For Sale" sign was erected at the property in 2015, with Alan and wife Kathrin jumping at the chance to purchase; Alan had driven past the historic building twice a day on the way to work so knew it well. Much restoration work was needed to ensure it was usable first, however. The restoration didn’t stop there as the entire roof needed to be redone. “The old roof came off, we put a new roof over top with insulation and everything, and then we reused the old roof sheeting on the inside to continue the historic rustic feel,” he says. There are three buildings in total: the restaurant, the kitchen and a well that's dry but for which they have big plans. “We want to turn the well into an extra part of the venue," Alan says. "Add in a spiral staircase, wine racks around the outside and maybe age some bottle aged beers." Kathrin adds: “The chef wants to cure some ham too; they are some of our ideas and all of them can work together." Diners inside one of the restored buildings at Victor's Place. 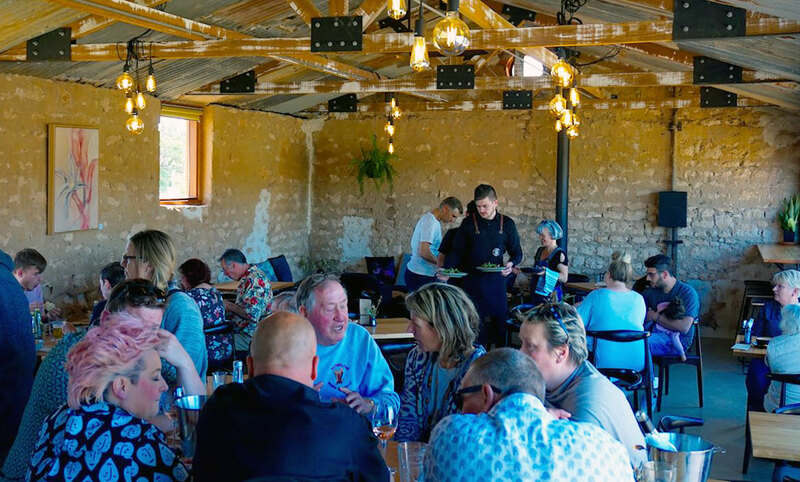 Victor’s Place overlooks the rolling hills of the Onkaparinga Valley and the historic township of Old Noarlunga and greets drinkers to the McLaren Vale wine region, situated just as the vineyards come into view on Victor Harbour Road. The name is an ode to their use and support of local goods and produce; the venue is essentially a showcase of everything that their local area has to offer, with local grapes used in the wines, food sourced from local producers and malt supplied by local maltsters Coopers. The beverage production shed is a space shared between wine making equipment and brewing gear. To the right, the winery and, to the left, the brewery. Two five hectolitre tanks and one ten hectolitre tank are filled using a one of Spark's K500 venue breweries designed for such small spaces. For now, the beers are sold exclusively on premise, with takeaway beers available via their hand cranked canning machine. 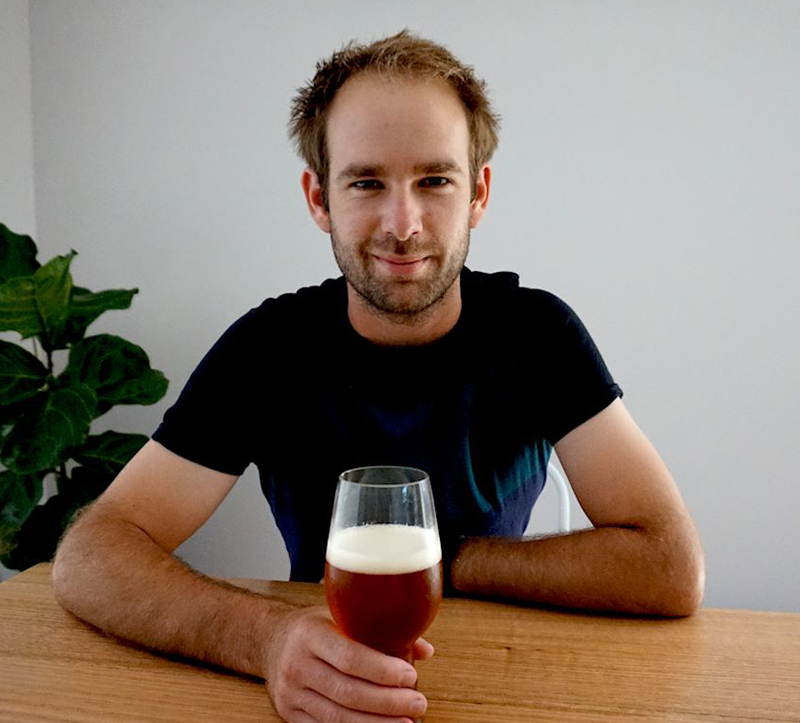 The five beers making up the core range have been developed by Luke, previously a cellar hand at d’Arenberg as well as an avid homebrewer. They are saison, pale ale, IPA, ESB and stout, with limited releases augmenting the range periodically. 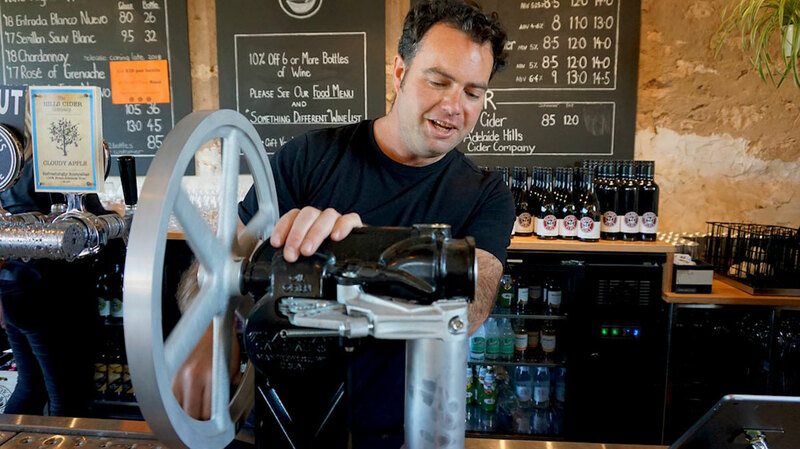 Victor's Place co-founder Alan Varney cranks out another takeaway beer. The saison puts the yeast characters at the forefront along with some bright citrus aromas. New Zealand and Australian hops are used in the pale ale, combined with Schooner, Munich and Crystal malts. The IPA uses 100 percent Maris Otter malt, with Amarillo and Citra hops there to create tropical, citrus hop aromas and flavours. Malt is the dominating factor of the final two core range beers, with the ESB showcasing light toffee flavours and a light body and the stout combining roast and chocolate. As for the food, it typically comes in the form of small share plates or large plate full meals. Spencer Gulf prawns, kangaroo loin, SA snapper, lamb ribs and dry aged Scotch fillet were among the menu items when we called in, accompanied by a pair of tasty desserts. The wines are made using grapes sourced from the Adelaide Hills and McLaren Vale region. 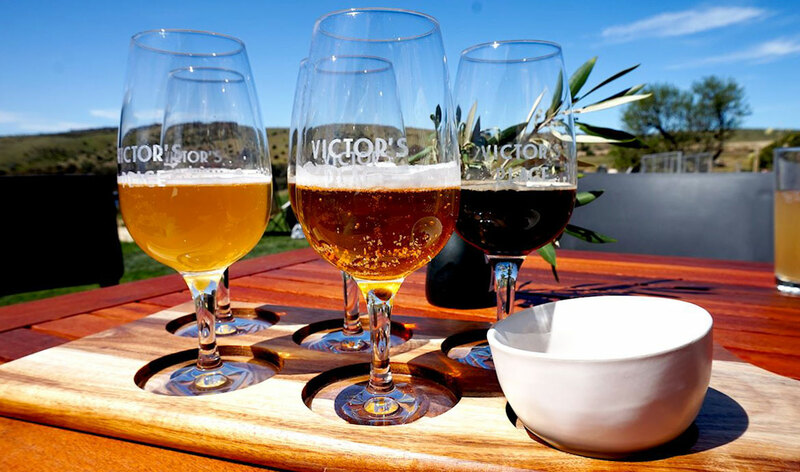 Taken together, it makes Victor’s Place one that's equal parts brewery, winery and kitchen, with all three aspects of the business meticulously planned and executed. The views, local produce and passion of the owners round out the experience, adding another quality venue to the McLaren Vale region. Victor's Place is at 62 Victor Harbor Road, Old Noarlunga.